Climbing the 600+ stairs to the top of the famous Piedra de El Peñol (the giant rock dominating the region's landscape) for spectacular views of the region and the lake. Walking along Guatapé's waterfront malecón and cobblestone streets, and checking out the zócalos, artistic depictions of pueblo life sculpted into the facades of many buildings throughout town. Boat trips on the lake, including visits to La Isla de Fantasia, La Manuela (Pablo Escobar's former lakeside mansion), the Casa Museo, and La Cruz, a giant cross in the lake marking the spot of the submerged town of Viejo Peñol. Visiting Parque Místico Cacique Guatape, for holistic healing therapies and nature walks. 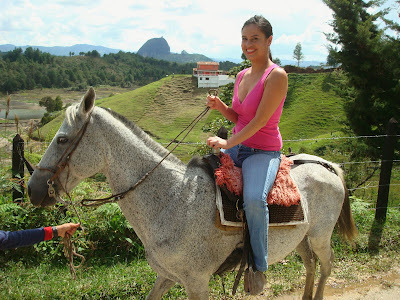 Please visit Colombia Eco Tours for more details about our available tours and activities.